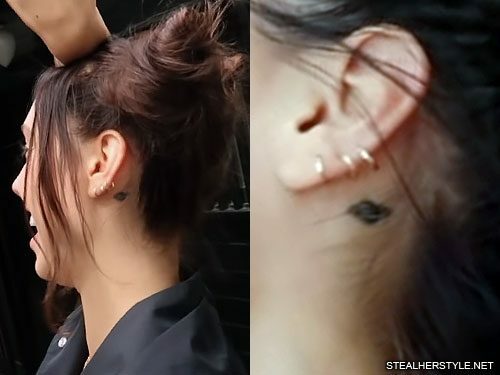 Nia Lovelis got this stick-and-poke Saturn tattoo as a surprise for her mom. 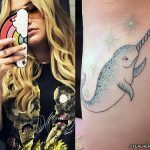 She showed off the new planet tattoo, which is located on the front of her hip, in a February 2016 twitter photo. 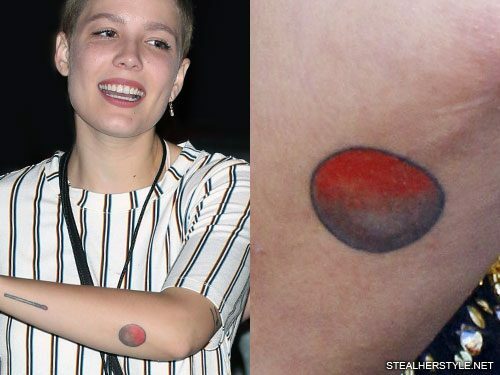 Musician Blackbear also has a similar black and red planet tattoo as part of his left arm sleeve. 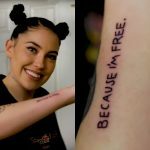 Halsey shared a picture of their two tattoos together, but it seems that the matching is just a coincidence since he had his tattoo before she got hers. 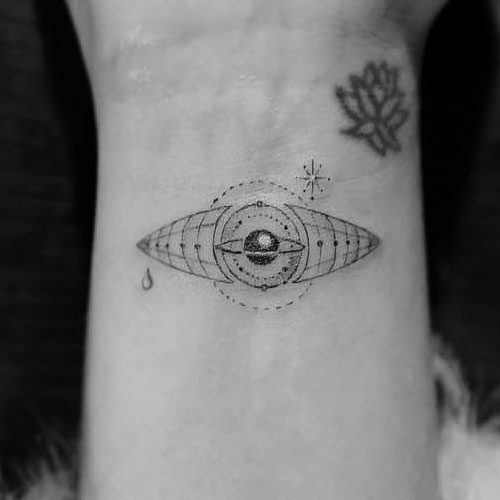 Miley Cyrus got this tattoo of a planet on her left forearm in April 2016. 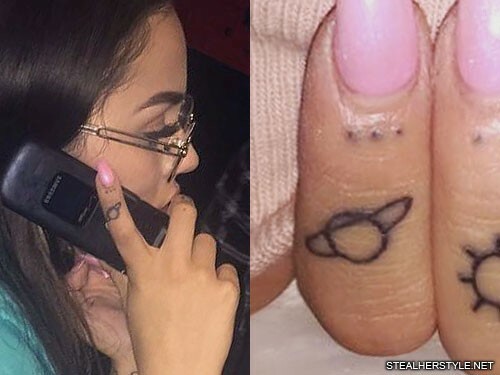 She shared a photo of the tattoo on her instagram page and implied that the planet was meant to be Jupiter, tagging her post with “#lilbbjupiter.” Her followers rushed to correct her and tell her that the planet with rings is actually Saturn, not Jupiter. 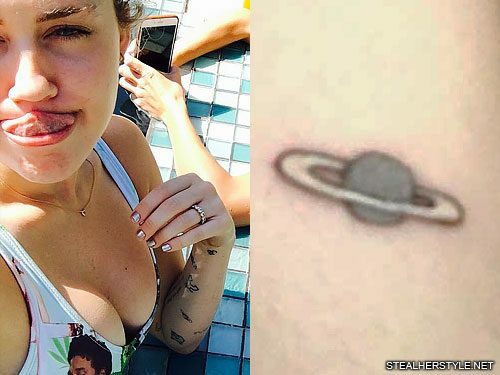 However Miley is not entirely wrong — technically Jupiter does have rings, they just aren’t as prominent as Saturn’s. 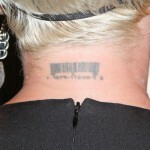 I don’t even know the meanings behind my hand tattoos. 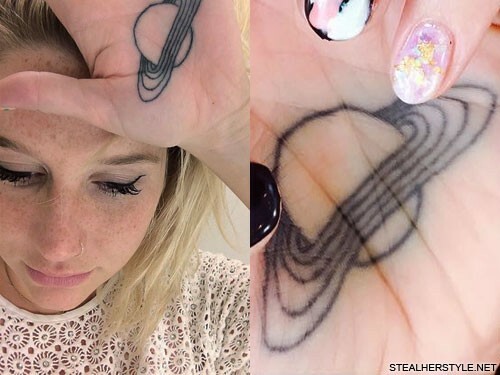 They don’t all have meanings….The planets I just thought were cool. 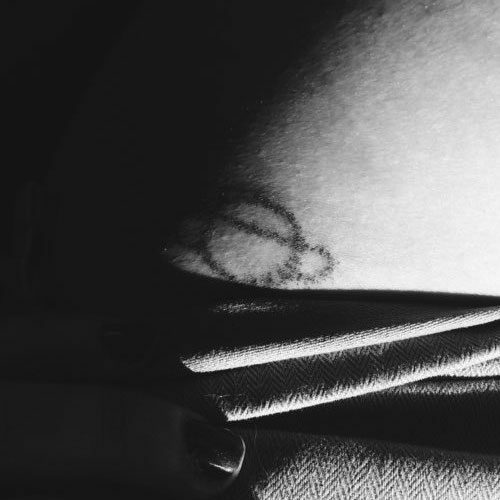 I do like the planets, I do like outer space and all that. 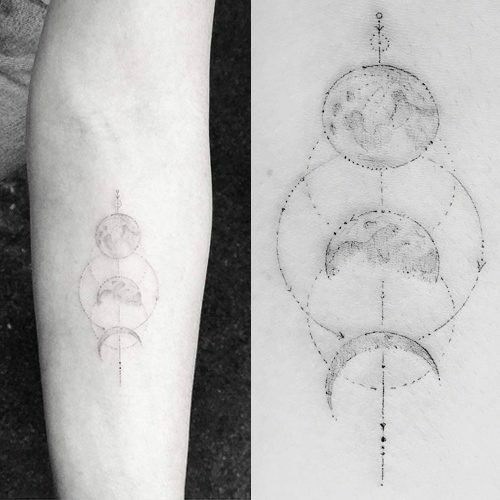 I’m really into the moon. So I guess that’s why.